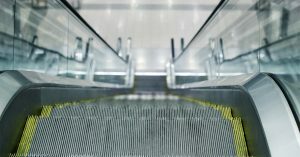 Premises Liability Category Archives — Massachusetts Injury Lawyer Blog Published by Boston, Massachusetts Injury Attorneys — Breakstone, White & Gluck, P.C. The forecast is calling for snow in Boston. Get your shovels ready. Clearing snow and ice isn’t just considerate. It’s a responsibility for property owners and drivers under Massachusetts law. As personal injury attorneys, we have represented many people who have slipped on snow and ice across Massachusetts and never saw the danger or risk. Slips and falls can happen on both residential and commercial property, on walkways, parking lots and unsecured railings. These injuries can be long-lasting and often leave a person unable to work for a period of time. As a property owner, remember you are in control of your property. Shovel and monitor your property so no one is injured. Massachusetts law recognizes that property owners have a responsibility to clear snow and ice – now. But this was not always true. In 2010, the Massachusetts Supreme Judicial Court ruled in the case of Papadopoulos v. Target Corporation, SJC-10529 (July 26, 2010). This ruling changed everything for property owners and those who are injured on snow and ice. In Papadopoulos, the plaintiff fell on ice in a parking lot outside a Target department store at the Liberty Tree Mall in Danvers. Claims were brought against the Target Corporation and Weiss Landscaping Company, the contractor in charge of snow and ice removal. In its ruling, the Supreme Judicial Court abolished the long-standing distinction between “natural” and “unnatural” snow accumulations. In the past, the cause of snow accumulation was significant in determining whether those injured could bring a claim against the property owner. If snow and ice had naturally accumulated, the property owner may not be held liable for injuries. 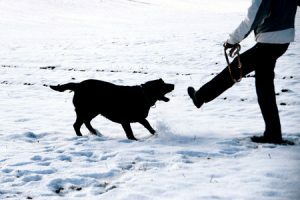 But property owners could be held liable for unnatural accumulations, such as snow thrown by a plow or shovel. This was known as the “Massachusetts rule,” of natural accumulation. It was rejected by every other high court in New England, according to the Supreme Judicial Court’s decision. With this decision, the Supreme Judicial Court wrote that property owners will now be held to the same duty of car to act as a reasonable person, regardless of how snow and ice forms to create a property defect. For property owners, the takeaway is clear your driveways and walkways. Don’t let snow and ice accumulate. If you do, someone could be seriously injured and you could be held liable. Clear snow during and after snowstorms. Salt regularly. Start early into a snowstorm. After a snowstorm, monitor the ice accumulations on your property. Your property may also need attention for the next few days. Safety for your visitors. Approach your property by foot. Walk up your driveway and on any paths. 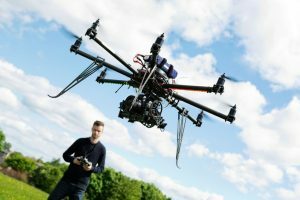 Test how safe these areas are for your friends, family and delivery professionals. Porch safety. If you have a porch, keep it clear of snow and ice during the winter, so melting does not damage or weaken the wood. Remove furniture from your porch so you have no trouble shoveling. The Massachusetts Driver’s Manual states drivers should remove snow and ice from their vehicles before driving. We urge you to plan extra time. Clear all windows, windshield wipers, headlights and brake lights, so your vehicle is fully operational. Take extra care to clear your vehicle’s roof. 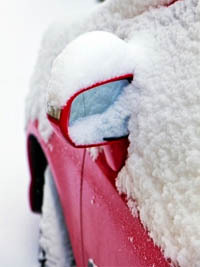 Failure to do so can send snow onto the car behind you, throwing the driver off or causing a car accident. Drivers can be cited for failure to clear snow in Massachusetts. Police can fine drivers with impeded operation if they drive with snow-covered windows. This offense is punishable by a $40 fine. When a driver fails to clear their roof, they may face a $200 fine for driving with an unsecured load. Drivers of commercial trucks, passenger trucks, vans and other vehicles traveling with snow and ice and other unsecured loads are highly dangerous, especially in winter conditions. Slow down and create space between you and any vehicle which makes you feel unsafe. Move to another lane. Write down the driver’s license plate and contact police. A driver’s failure to clear snow can lead to a traffic citations, but also criminal charges and liability in a civil case if someone is injured. 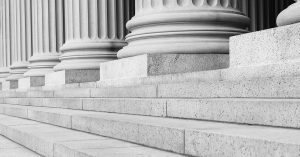 Breakstone, White & Gluck of Boston has over 100 years combined experience representing those injured by the negligence of commercial and residential property owners. We have expertise in handling cases involving snow and ice falls, porch collapses and landlord negligence. Our Boston personal injury attorneys have represented clients across the state of Massachusetts, including Boston, Brockton, Hyannis and Cape Cod, Fall River, Framingham and Worcester. For a free consultation, call our office at 800-379-1244 or 617-723-7676 or use our contact form. There were frightening pictures out of Allston on Sunday, November 4, 2018, as the Boston Fire Department responded to a report of a commercial building collapse. Firefighters found very dangerous conditions: the façade at 85 Harvard Avenue, a one-story commercial building, had fallen onto the sidewalk. The building houses Common Ground Bar and Grill, which sustained serious damage, and also other businesses. Two people were injured, including a woman who was hit by concrete and suffered critical personal injuries outside the building. The Boston Globe reported she was with friends and they, along with others, fought to free her from the concrete. When the Boston Fire Department arrived, she was rescued and transported for medical treatment. Others inside the building were safely evacuated with assistance. As the investigation begins, the collapse must serve as a reminder to landlords and building owners. Injuries from property defects – such as fires, slippery floors or snow and ice accumulations – are devastating for victims and families and are much more common than many people realize. But structural failures, especially in aging buildings, present extreme hazards as well. Building owners and landlords have a responsibility to regularly inspect and maintain residential and commercial buildings. In older buildings with brick or stone facades, routing engineering analysis should be performed periodically. In Boston, city regulations require inspection reports, but only for buildings over 70 feet tall. The regulation mandates that every exterior wall shall be inspected at least once every five years, and in the case of an unoccupied structure, inspection must be done at least once every year. Inspection reports must be completed by an architect or engineer, and filed with the city. Inspections should not be limited to facades. Many buildings have aging iron work on balconies and exterior stairs and these can buckle under, leading to serious injuries. At Breakstone, White & Gluck, our personal injury lawyers have over 100 years combined experience representing those who have been injured by the negligence and wrongdoing of others. 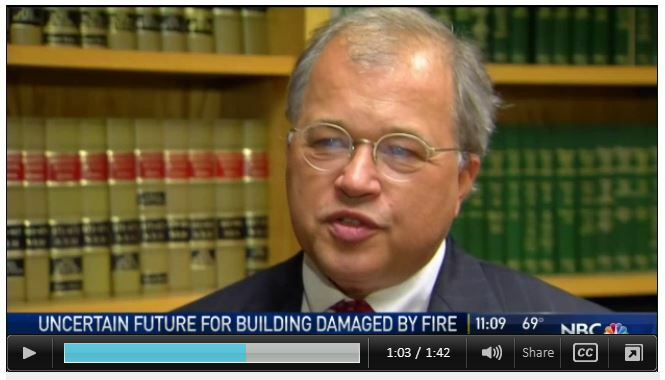 Our attorneys have extensive experience investigating fires, porch collapses and unsafe buildings in the Boston area, then bringing claims on behalf of those injured. If you have been injured because of unsafe property conditions, we urge you to learn your legal rights. For a free legal consultation, contact Breakstone, White & Gluck at 800-379-1244 or 617-723-7676 or use our contact form. 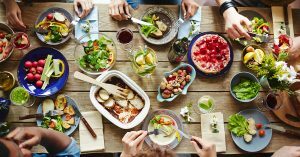 A food poisoning outbreak has closed a Massachusetts restaurant in the middle of the summer season, raising concerns for diners. A North Reading restaurant has been closed indefinitely after 39 diners filed complaints related to a salmonella outbreak. The source may be the antipasto salad, but the local board of health is still investigating. The North Reading Board of Health shutdown Kitty’s Restaurant on Main Street on July 3. The board investigated the food poisoning, which may have initially occurred on June 23. After a thorough cleaning, the restaurant was allowed to re-open – though not for long. The restaurant has been closed again following a new report, this time from a June 25th visit. Secure your pool. In Massachusetts, pool owners are required to have fencing which stands at least 48 inches tall. Openings in the fence must be less than 4 inches in diameter. All doors to pool areas must have self-latching and self-closing devices. Homes with doors which open into the pool area must use pool alarms. Walk around your pool fence now to look for areas which have been damaged. Make repairs right away. Many college students heading to Boston will be living in off-campus housing. The attorneys of Breakstone, White & Gluck share safety tips and resources. College students are just days away from starting the Fall semester. In Boston and Cambridge, we urge students to make time for an extra lesson on safe housing. Make sure you understand your rights as a tenant and your landlord’s responsibility to maintain a safe property. Boston and Cambridge have more than 40 colleges and universities. Because of a shortage in dorm space, many students end up in off-campus housing. Unfortunately, some find themselves dealing with unresponsive landlords who want to collect rent, without doing the work to maintain a property. If you are in this situation, it is important to remember that if a landlord is charging you rent, you have the right to a safe and sanitary apartment. When a landlord is unresponsive and negligent, it can lead to many problems. It can result in sanitary issues, such as mold, rodents or a bug infestations. It can also lead to broken equipment (for instance, a broken smoke alarm, which needs to be addressed right away). Porch collapses and fires are two of the most common and serious types of premises liability accidents. As a result of landlord negligence, over the past 10 years, five college students have died in off-campus fires in Massachusetts, according to the state’s website.